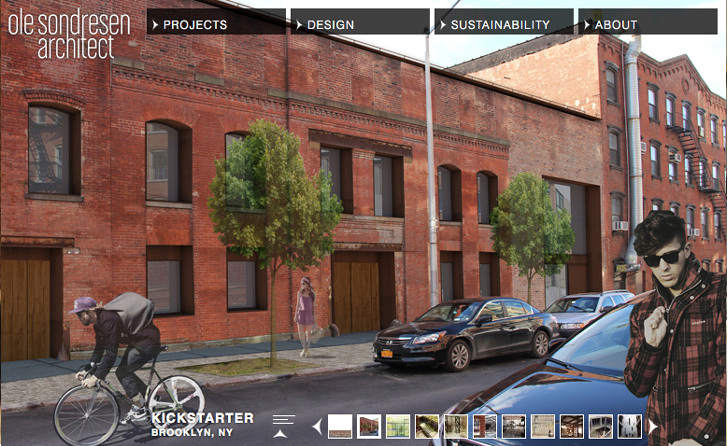 We've had our eye on the construction of <a href="http://www.kickstarter.com/">Kickstarter</a>'s <a href="https://inhabitat.com/nyc/index.php?s=greenpoint">Greenpoint, Brooklyn</a> headquarters for quite some time now and were pleasantly surprised to find out that it will boast some pretty nifty sustainable features. 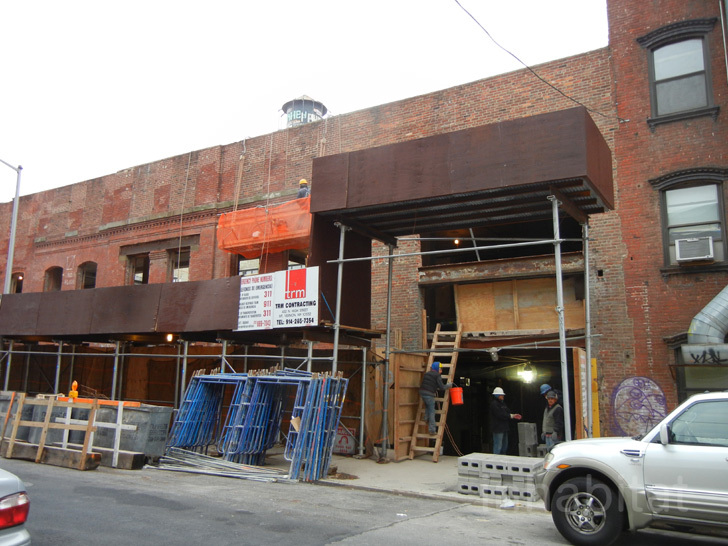 The project, by <a href="http://www.olesondresen.com/">Ole Sondresen Architects</a>, is transforming the remains of the historic Eberhard Faber Pencil Co. factory into a new space for the crowd-funding start-up just a block away from the East River waterfront and <a href="https://inhabitat.com/nyc/transmitter-park-finally-opens-in-greenpoint-brooklyn-with-waterfront-views-of-the-the-manhattan-skyline/">Transmitter Park</a>. 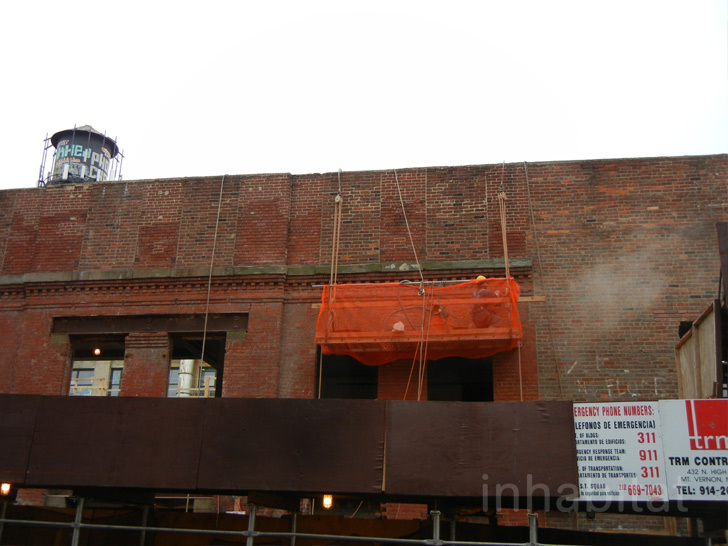 As of now, the building still looks a lot like a brick shell, but <a href="http://greenpointers.com/2013/01/14/kickstarter-hq-whats-on-deck/">Greenpointers</a> recently unearthed some <a href="http://ny.curbed.com/archives/2013/01/14/what_kickstarters_greenpoint_headquarters_will_look_like.php">renderings from Ole Sondresen</a> that show the architects' plan for a green roof, a library and a courtyard. What the site currently looks like. 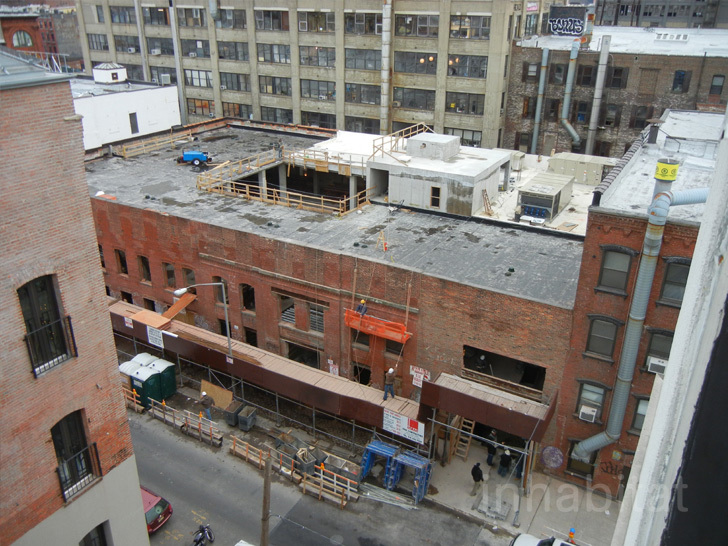 It makes sense that Kickstarter chose the pencil factory as the home of its new headquarters considering the building's history and the fact that pencils were considered an innovative, life-improving product (at least when they first came on the scene) - just like the inventions the company backs on its site. 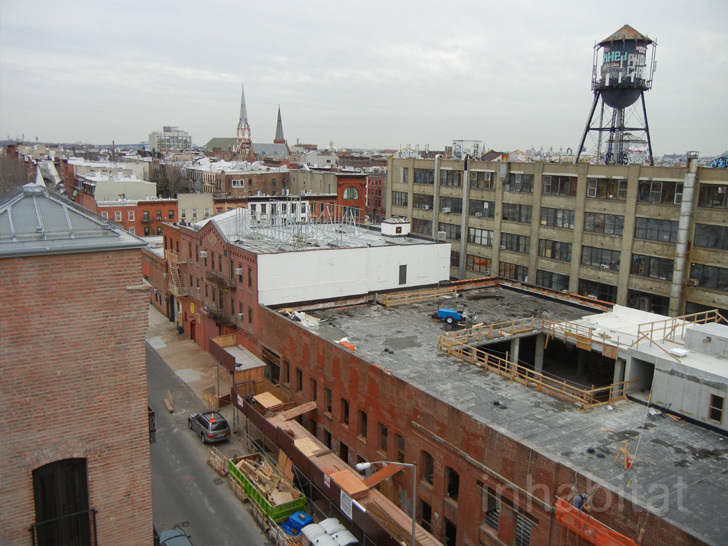 The <a href="https://inhabitat.com/nyc/index.php?s=greenpoint">Greenpoint</a> waterfront area, which is slowly but surely becoming a destination for Brooklynites, is also a fitting location for the start-up. Currently the site doesn't boast much yet. The empty shell of the Eberhard Pencil Factory. 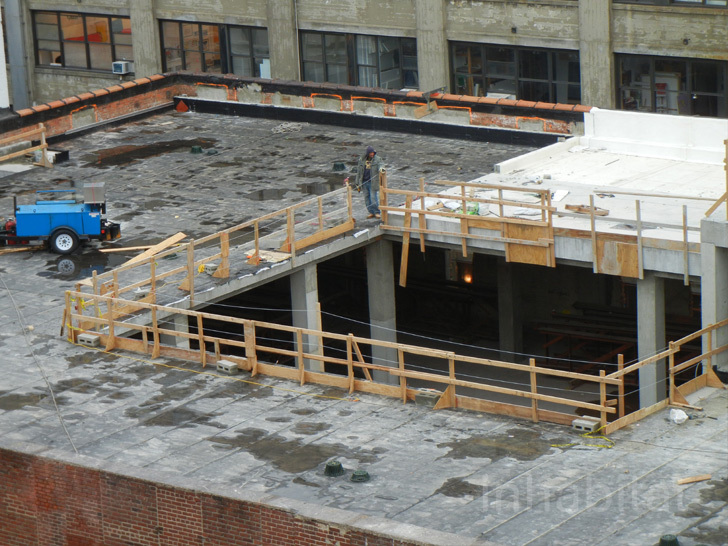 This cutout in the roof appears to correspond with where the courtyard will be. 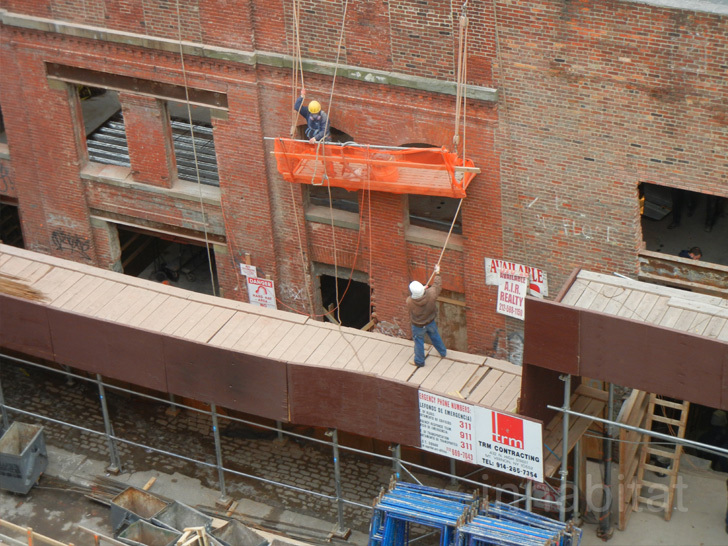 Construction on the 29,000-sq-ft headquarters began in August and neighborhood residents may have noticed workers moving around behind the two-story brick facade. The plans for the building include repurposing steel trusses from the factory's roof to create a glass-lined courtyard for the company's 46 (and growing) employees to enjoy. 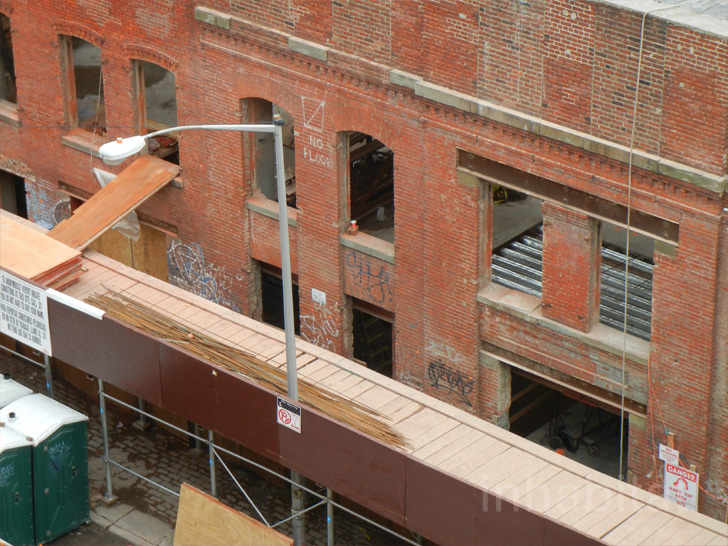 The metal structures on the elevated part of the roof look like they could be the repurposed steel trusses. 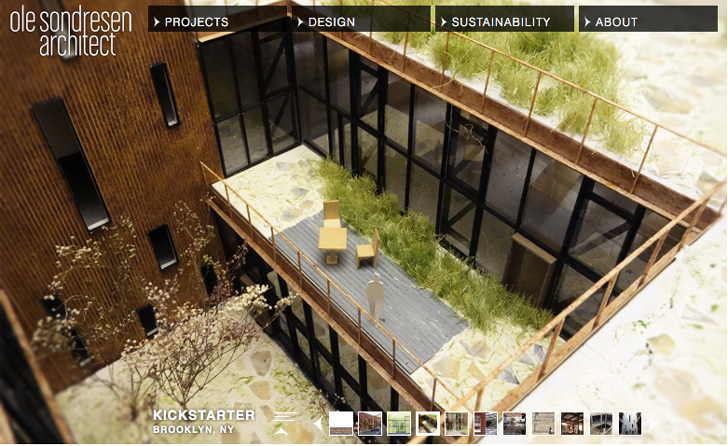 The headquarters will also have a <a href="https://inhabitat.com/index.php?s=green+roof">green roof</a> and roof deck. 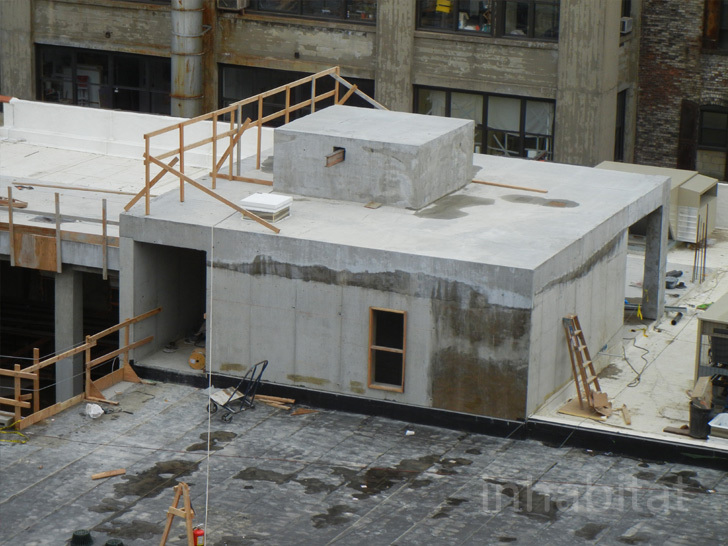 A new structure being built on top of the roof. We're looking forward to seeing how the rest of construction goes and how this idea factory will affect the surrounding neighborhood when the headquarters is complete. 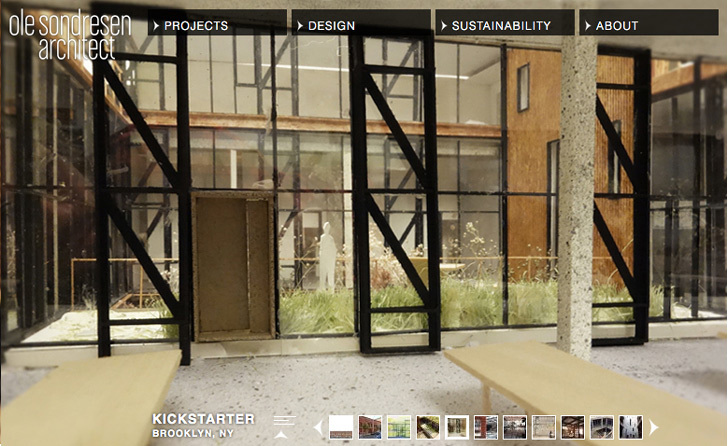 The architects' vision for the completed space. 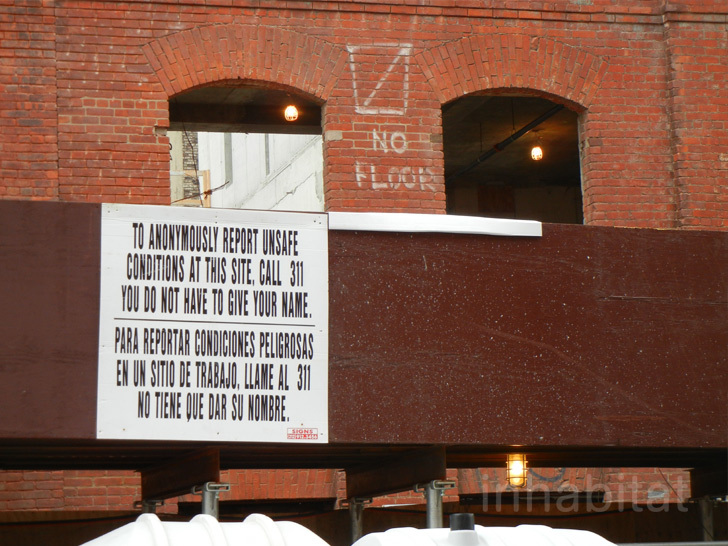 We've had our eye on the construction of Kickstarter's Greenpoint, Brooklyn headquarters for quite some time now and were pleasantly surprised to find out that it will boast some pretty nifty sustainable features. 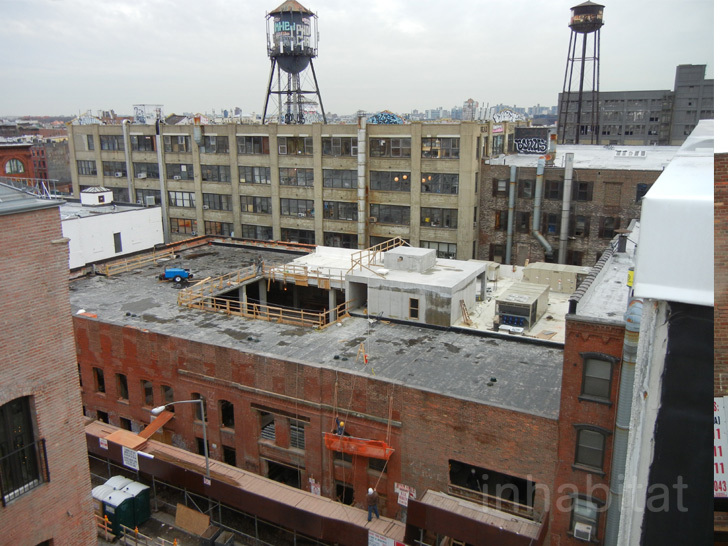 The project, by Ole Sondresen Architects, is transforming the remains of the historic Eberhard Faber Pencil Co. factory into a new space for the crowd-funding start-up just a block away from the East River waterfront and Transmitter Park. 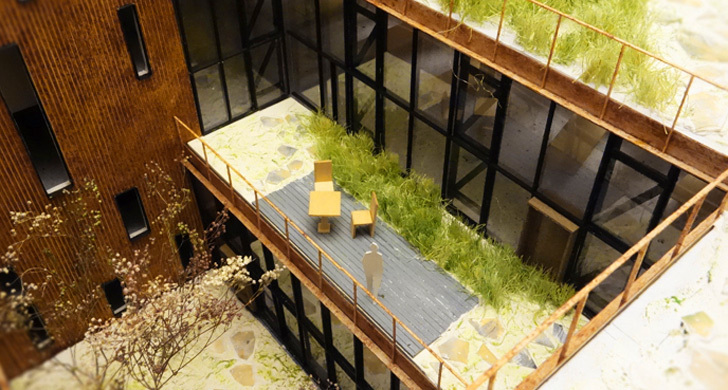 As of now, the building still looks a lot like a brick shell, but Greenpointers recently unearthed some renderings from Ole Sondresen that show the architects' plan for a green roof, a library and a courtyard.